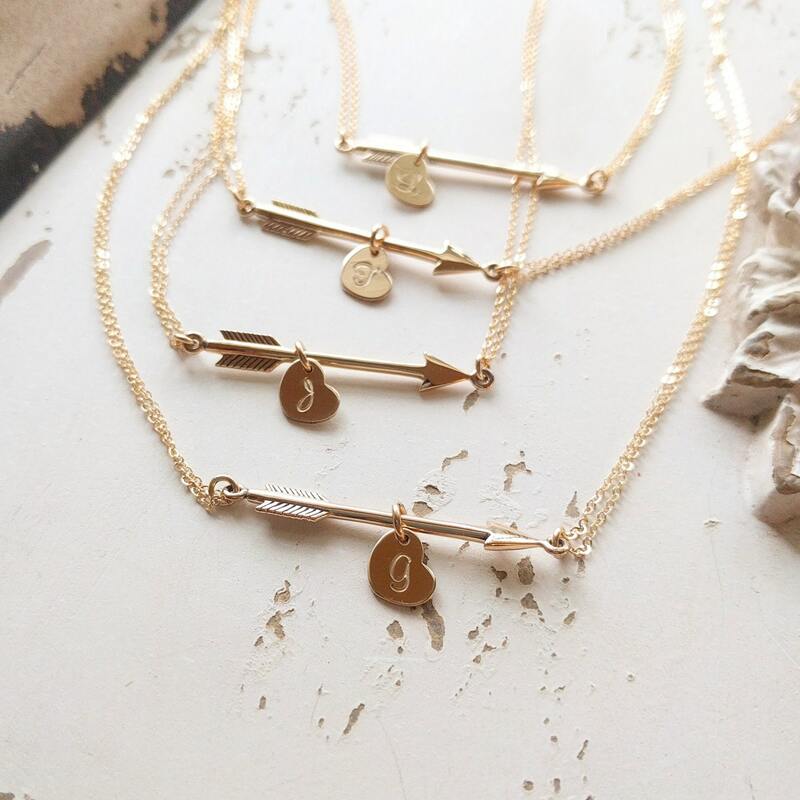 The most tiny & dainty everyday necklace. Featuring a very dainty arrow (38x4mm, approx 1.5" in length) that floats amongst the most delicate & shimmering sterling silver chain. Choose how may initials you would like to personalize this piece! Necklace measure 18 inches as pictured, length can be customized. Completed with a round spring clasp. ►Please be sure to include your initial/font choice in the "message to BijouxbyMeg" box in your Etsy shopping cart!!! My font chart can be viewed in the last photo above. The product itself is beautiful but I don’t like the way it wears. One side gets more weighted from the charms and then it’s always angled to one side and I have to constantly fix it. Can’t even see my kids initials which was the whole point. Love this necklace! Unique way to keep my kids close. Very happy with this product, highly recommend! Got this as a gift for my best friend. It’s delicate and adorable and it honestly makes the perfect gift for someone.